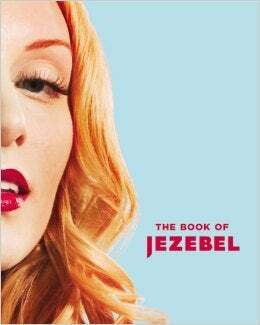 I really do not love the cover of the new book from Jezebel. I'm sure it's going to be a good read, and I'm glad Jezebel and therefore feminism may reach a bigger audience. But I wish they picked an image that better represented all women, not just white women. They could have used the cover to promote the idea that feminism is intersectional, and they failed on that part. I don't think it's much to ask that a book on feminism visually represents the basic tenets of the idea. I was weirdly disappointed when I realized that once again, I wasn't going to be visually represented in a book that sounds like something I'd really enjoy reading. Look at that variety! I wanted something like that, not one that furthered the idea that feminism is a white woman's game. I was aware that Jezebel uses/used that image as the site logo, they used it all the time when I first found the site 4 years ago. I just think that even as useful as it is as a icon for their site as far as marketing purposes goes, it definitely could have been incorporated into a more diverse cover.